The story of oil exploration in Africa is one of many failures and victories, of bold bets in unexplored areas that have brought great returns, of forgotten lands that only some bold few decided to venture in, in the search for riches. This has been the story for many of Africa’s current oil and gas hot spots. It’s hard to imagine that at one point in time, no one believed that Equatorial Guinea had oil or was even willing to try it out. Sudan, Chad, Kenya, Uganda, Tanzania, Senegal, Liberia… they are all in one way or another, nations whose potential was for long snubbed by international oil and gas companies, until one bold player took the chance and found these so desired resources. The Republic of Niger is the newest one in the list, and one that is attracting more and more attention. Just since April 2018, junior British independent exploration and production company Savannah Petroleum has recorded five consecutive commercially viable oil discoveries in its R3 and R4 Production Sharing Contract areas in the Agadem Rift basin (ARB), in the Southeast of Niger. While the company has relayed the report of the estimated reserves in place for the end of its exploratory program, the results are extremely promising. So much so that even before its latest discovery in October, the company had already signed a legally binding memorandum of understanding (MOU) with the government of the Republic of Niger outlining the steps of cooperation necessary on both parties for the adequate implementation of an early production scheme for the R3 block. 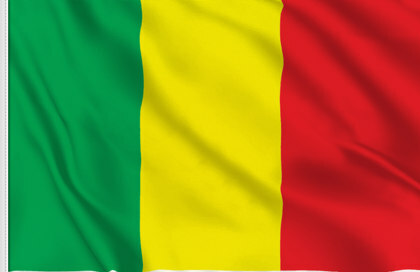 These include the support in negotiations of oil sales agreements with the country’s only refinery, the Société de Raffinage de Zinder (SORAZ), as well as facilitating access to the third party-owned pipeline connection from ARB to the refinery. Oranto’s move is symptomatic of the growing profile of the Republic of Niger as an oil and gas frontier market. It is likely that we will witness similar moves by other international oil companies in the months to come. Years from now, we’ll look back and be surprised by how long it took for oil companies to explore a country that was so evidently rich in oil, bordering Chad, Nigeria, Algeria, Libya and Congo, well established oil nations. However, the true player that took the risk of exploring in the Republic of Niger when everyone else had given up was not Savannah or Oranto, but the China National Petroleum Company (CNPC). In fact, history will tell how there was a before and after CNPC in the Nigerien oil industry. It was CNPC that in 2008 took over an acreage that Elf, Esso, Texaco and Petronas had owned, mildly surveyed and abandoned. Three years after it entered Niger, CNPC had struck oil and started production. Under an agreement with the government, the company built and operated a 463-kilometer oil pipeline and the 20 thousand barrel per day refinery in Zinder. First oil was delivered from the Sokor and Goumeri fields in 2011 and from the Agadi field in 2014, all located in the company’s acreage in the Agadem Rift basin. Since then, Niger has become a de facto oil producer and, through its refinery, has become self-sufficient in fuel, a rare case across the continent. Before CNPC, since the country first started being explored for oil in the 1970s, only 25 wells had been drilled and 5 minor discoveries had been made. Naturally, CNPC benefitted from extremely high oil prices to justify the massive investment in exploration in 2008, but nonetheless, it broke through a frontier market with great rewards. Despite all of these successes, Niger’s oil production remains marginal, reaching 20 thousand barrels of oil per day (BOPD) at its peak, and declining slightly in recent years. That happened despite year after year of governmental promises and proposals to boost the country’s oil output to 60, then 80 and then 90 thousand BOPD, a target set for as early as 2014. The delay has mostly been pegged with the lack of export infrastructure for the crude. Landlocked, Niger has no pipeline connecting it to other nations, and with a domestic consumption of no more than 7 thousand barrels per day, pushing with production would only create an oil storage problem. Since 2012, the government has pushed for a pipeline connection to be built to link Niger to the Chad-Cameroon pipeline to the south, which could transport the crude to the Cameroonian port of Kribi, in the Gulf of Guinea, for exports. That asset alone could change the face of Niger forever. However, the collapse in the prices of crude oil in 2014 has made this 700-kilometer 60 thousand BOPD endeavour difficult to finance for the two partners, CNPC and the Republic of Niger. Now, the Niger government has stated in April this year that the construction of the pipeline will start before the end of 2018, although the same thing had been said for 2017. If it goes through, Niger could be a de facto oil exporter by 2020 and have access to a new influx of capital to continue to finance the industry’s growth and overall economic development, particularly if the price of crude oil continues to rise. Oil is a pervasive capital-intense employment-light industry that, if not managed properly, can completely engulf the economy and destroy other, otherwise competitive, economic sectors. This is an issue Nigerien leaders are advised to take seriously. They can take on examples of many African oil and gas countries that battled the same challenges in recent years. They can look at Ghana for inspiration for a resource management code that rivals some of the best in the world, as it created a heritage fund to protect the legacy of future generations as well as a stability fund to provide security in case of oil price volatility. They can look at Nigeria’s battles with local content strategies to better design policies that will include their population and promote the development of an associated industry to the oil sector, which can have a measurable impact on employment. They can look at Equatorial Guinea to see how infrastructure can potentiate the growth of an oil and gas industry turned towards providing services across borders. They can look for international cooperation, either through regional associations or by seeking the know-how of its allies and neighbours. Equatorial Guinea, for instance, has accomplished much in the development of its international ties in the oil and gas industry in Africa by providing know-how and technical knowledge to new comers into the industry. Further, Niger must strive to avoid the many mistakes witnessed in Africa’s oil nations in the past, and leapfrog into the understanding of the potential of, for instance, the development of a natural gas-based economy could have for the economic, environmental and social future of the country. , which Niger had entered and later retreated from, will lay the groundwork not only for the country’s image abroad but also for the government’s credibility within its own borders. The understanding by the civil society of the actual impact of the oil industry and of the way the wealth coming from it is used and distributed, is fundamental to prevent social unrest like we have witnessed over and over again in places like Nigeria or Tanzania. In sum, Niger is today the new frontier star market in West Africa and an investment opportunity for industry players big and small. The country is at the brink of a new era in its history, one that can bring great wealth to its people and future generations, and that can raise millions from poverty. The way this opportunity is managed by the country’s leaders will determine if that potential is ever fulfilled and we can only hope that it is, but many steps still need to be taken for Nigeriens, young and old, to come to directly benefit from their land’s hidden treasures.